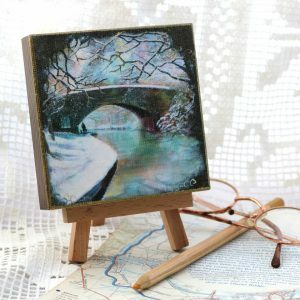 Home » Products » Hand finished Canvas Print, Snowy Canal. 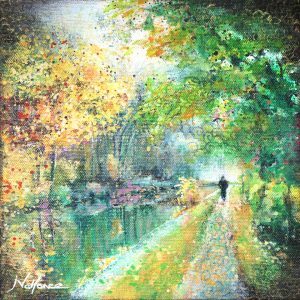 Hand finished canvas print, Two sizes available: 7½ “x 7½ ” (19cm x 19cm) or 6″ x 6″ (approx 15cm x 15cm) . From an original Jan Vallance Painting, Countdown painting 9 “Snowy Canal”. 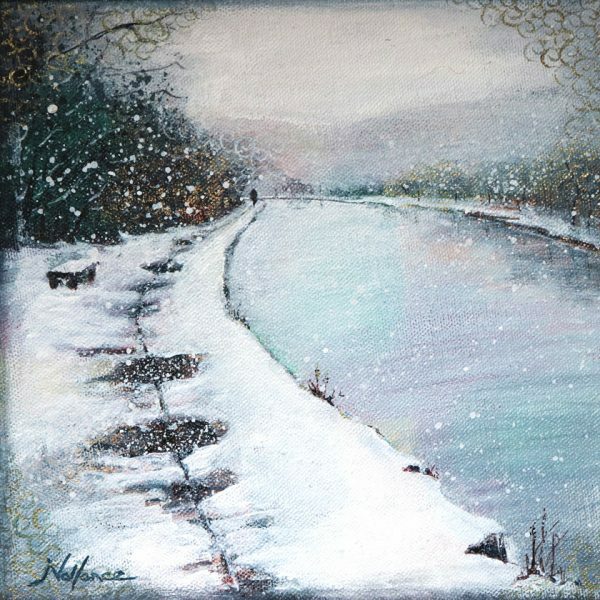 In the winter I always travel back up north to the Macclesfield and Peak forest canals, to be near family. 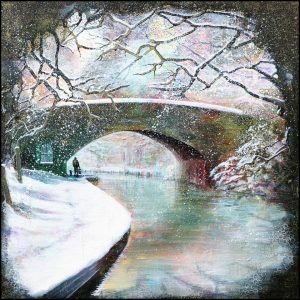 This is a favourite spot on the Macclesfield canal that becomes quite magical when it snows. 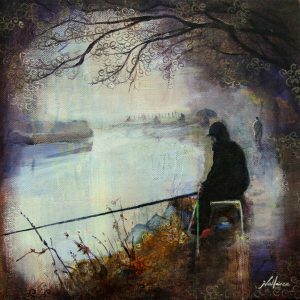 This print is signed on the back, below the mount. Because of the style of print this is not visible when mounted.